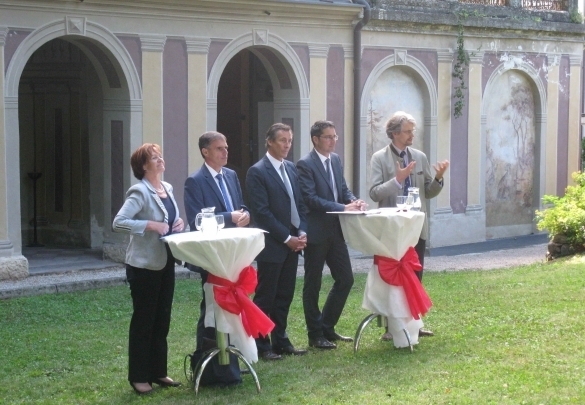 On 20 August 2013 the South Tyrolean People Party (Südtiroler Volkspartei, SVP) organised a press conference in the park of the Palais. 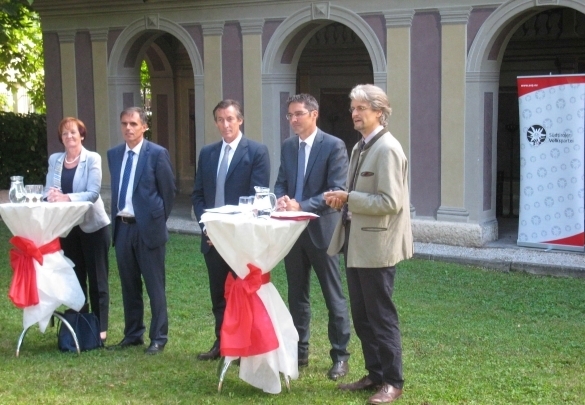 The topic of the event was dedicated to the future of South Tyrol's autonomy. The reason for choosing the Palais as picturesque background of this event was that the building stands both for the past and the future: With the name of Friedrich Toggenburg the building is linked to the first ideas for an autonomous territory after WWII. 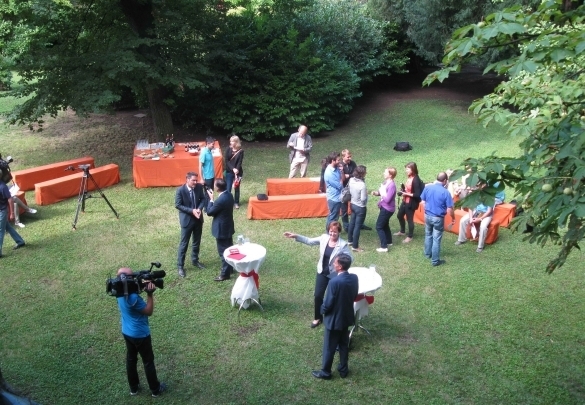 And with the "Palais Talks" the building is since 2000 known as a meeting point for European debates. 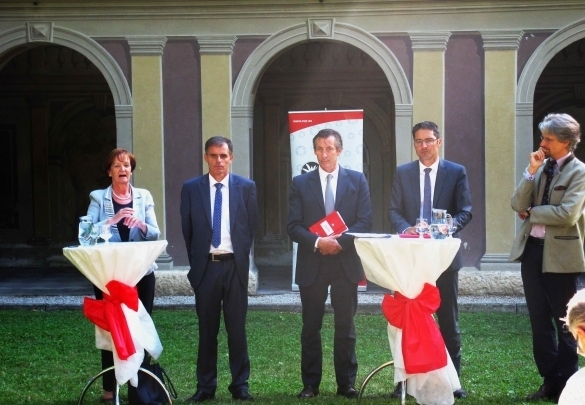 Presentations were given by the future governor of South Tyrol, Arno Kompatscher, the Chairman of the SVP, Richard Theiner, the Chairwoman of the SVP, Martha Stocker, and the member of the regional government reponsible for trade, Thomas Widmann. They all showed that also the concept of autonomy stands for both tradition as well as a future embedded in the process of European integration. TV-video clip on the press conference (produced by the SVP). 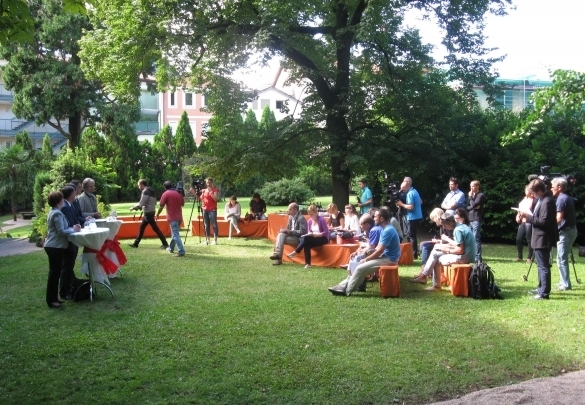 The presentations focused on the SVP-reading of the concept of autonomy (see the concept paper of the SVP). It is currently discussed whether the autonomy should be further developed in a convention. 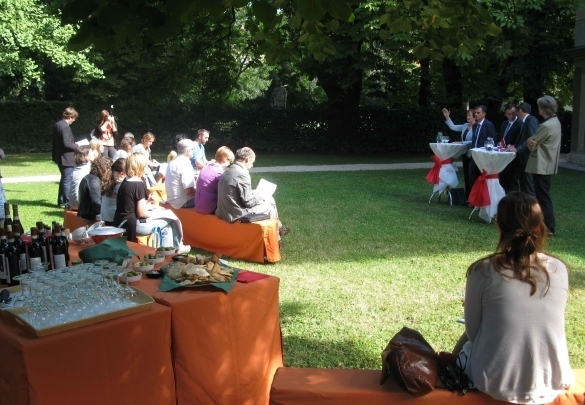 Professor Francesco Palermo who is a member of the Senate in Rome and heading the Institute for Studies on Federailsm and Regionalism at the European Academy stressed that such a convention could work in concentric circles and involve civil society (see interview). An analysis of the European dimension of the Gruber-Degasperi Agreement, the basis for the South Tyrolean autonomy: Europäische Dimension des Gruber-Degasperi Abkommens. An interview on the relationship between the European Union and the regions of Europe is to be found in the Magazine ACADEMIA. For information on Friedrich Toggenburg (1856-1966), a minister of the Austrian-Hungarian empire and later on a member of the Italian parliament, see this article.